You guys don’t even have a 2nd string caliber QB on the roster. Haskins and Murray will both be gone. Probably both going Top 3. Lock might even be gone too and I certainly don’t think he’s worth a 1st Rounder anyways. 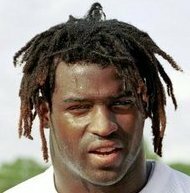 Wonder if McKenzie would give pick 13 for Carr since he’s the one who drafted Carr? Rumors Raiders will trade up for Murray. McKenzie is a senior advisor, not the GM. No one is trading you a top-15 pick for Carr, certainly not with the way he's played the past two seasons with that salary. Doing a mock draft where every forum picks their guy. You guys are on the clock! As soon as I get two posters to reach the same name, the pick will be official. 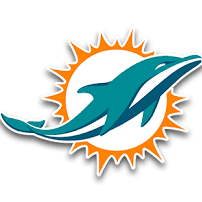 Anyone hear anything about the Raiders and Dolphins talking about a trade involving 13 and 4? Where'd you hear that rumor? I went with Gary over Sweat because of Scheme fit. I’m more certain of Gary fitting well playing both 3/4 DE and 4/3 DE as well as a 3 tech DT in a 4/3 NASCAR package.......Whereas I think Sweat can be a stand up 3/4 OLB and a hand in the dirt 4/3 DE and be good at it, I think it would take Sweat a few years whereas I could see Gary having a seamless immediate transition. If we were still playing the wide 9 tech then Sweat would be a perfect DE for that scheme. Additionally I feel like Gary has a higher ceiling than Sweat. I would be happy with either player at 13, but I feel there’s a little more value going with Gary. Gary hasn't shown enough pass-rushing chops to be a 4/3 DE to me, but I do think he would be a really good 3/4 DE and the aforementioned 3 tech DT. I still would really be on board with the pick though, as it appears we are definitely going back to a 3/4. I just think Sweat could be a monster as a 3/4 OLB. I agree. The more I watch Sweat the more he reminds me of Javon Kearse, who had a monster rookie season and a pretty good overall career. I rage quit if they draft either Lock or Jones at 13. Me too. I’m not a big fan of Lock anywhere before the top 25 picks......and I’m fighting back the urge to vomit just thinking that any team is considering Jones as a first round pick. Lock has upside, but is a true project QB with big accuracy issues. Jones is athletic for a man his size, but that’s about it. My QB evaluation tells me the top QB’s in this draft are; Haskins, Murray, Grier and in that order.........Beyond that I like Lock and Stidham but I don’t see either as a capable starter in the NFL until maybe year 3. Kind of confused. Are you saying we are looking for “true” DE’s as in a traditional 4-3 DE or or a “versatile” DE that can play in multiple fronts successfully.......as in 4-3 and a 3-4????? I’m reading it as if you are saying both.......to me a “versatile” DE, a “hybrid” DE, and a tweener DE are all pretty much the same thing. My opinion is that we are really looking for a 3-4 OLB regardless of what we want to call him. There’s 2 positions that we don’t currently have on our roster to play the kind of Defensive front we want. That’s a true NT and a 3-4 OLB. Harris might be better as a 3-4 OLB but we will still need 1 more.